Take the latest version of the CompTIA Security+ exam with complete confidence using the detailed information contained in this highly effective self-study system. Written by a team of leading information security experts, this authoritative guide addresses the skills required for securing a network and managing risk and enables you to become CompTIA Security+ certified. 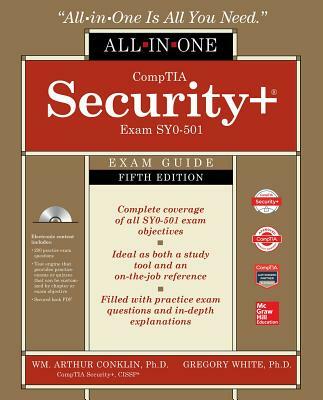 CompTIA Security+ All-in-One Exam Guide, Fifth Edition (Exam SY0-501) covers all exam domains and features 200 accurate practice questions. To aid in study, the book features learning objectives at the beginning of each chapter, exam tips, practice exam questions, and in-depth explanations. All questions mirror those on the live test in style, format, and difficulty. Beyond fully preparing you for the challenging SY0-501 exam, the book also serves as a valuable on-the-job reference for IT professionals.